Fun in the sun, whitewater rapids here it comes. 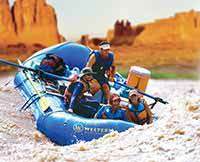 My wife and I want to express our gratitude on behalf of your well trained staff for our safety, the expertise, and fun on our four day Cataract Canyon raft trip. 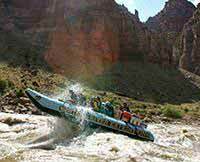 This is our second time rafting on the Colorado River. We signed on for the last four day raft trip the summer of 2010. Words alone will not explain what we feel toward our five raft guides, Mike, Amy, Stephen, Ryan, and Shad, you got it right! To each one of you, THANK YOU for the great memories! Your down to earth attitude, the stories, knowledge of the area, experience on the water, entertainment, all the great meals, and most important Amy's coffee. Thanks Amy for my morning lifejacket. We met great people from California, Massachusetts , New York, Texas, our neighboring state of Nebraska, even a terrific family from Germany. We had a blast. It was the best of times. We'll cherish our trip in so many ways. 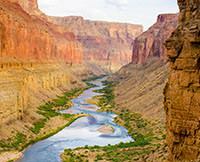 We are looking forward to a possible Grand Canyon white water expedition in the near future. Western River Expeditions will be our choice hands down. We are confident we will have awesome guides, when that time comes.